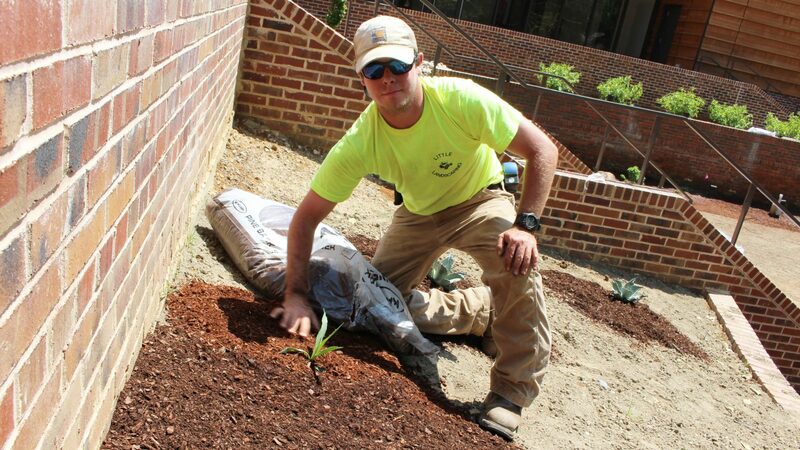 J.R. Little, a senior in horticultural science, helped design the garden as part of a class last fall, and he came back this spring to help install the plants. Last fall, horticulture students in Anne Spafford’s planting design studio developed the garden plan, and on Thursday April 20, several of them joined with other interested horticulture students to help Spafford install plants at the museum on Hillsborough Street. Bayer Crop Science provided funding for the garden. Spafford said the Gregg Museum garden should help the university in its quest to become the second official Bee Campus in North Carolina and one of the first 25 in the nation. Associate professor Anne Spafford taught the planting design class that developed the garden. She noted that the design juxtaposes colors and textures as it helps tie together the former chancellor’s residence, which was built in 1928, with a modern museum addition. Because Roger Manley, the museum’s director, wanted a pollinator garden, the students had to come up with a garden plan that would be in bloom from early spring through the first frost. The garden’s brightly colored irises and other flowering plants will attract pollinators. 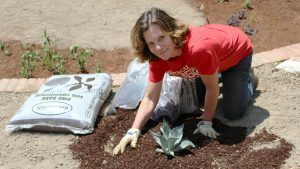 “It’s clear that a lot of thought went into the timing of the blooms and the arrangement of the plants,” said alumna Brittany Bell, who works with the NC State grounds staff and who joined Spafford to help install the garden. Senior J.R. Little was there, too, and he said he “felt privileged” to help design and install the garden. 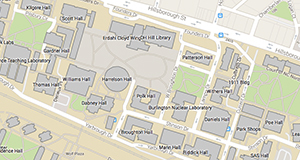 Interested in creating new horticultural science opportunities at NC State?